With the impending charity ride for Bobby on a Bike sponsored by Anglian getting closer, the blog team have been gearing up for keeping track of the Anglian riders during the event with a very handy app we found called endomondo. The blog team wanted to get familiar with the system and its functions before the event, so we have spent a little time tracking ourselves during the day to see how it worked. We were pleased to have an opportunity to give it a live test last week with two of my family riding in the Sani2c, the biggest Mountain Biking race in Southern Africa. Watching the event live on screen to see their up to the minute location, distance ridden, speed, altitude, calories burnt is engrossing. Along with those impressive statistics the system also allows you to send them messages and pep-talks that were relayed to them with a computer generated voice, I was so exciting and it made me feel a part of the event. The test has let us see how the system works and are able to fine tune our requirements for tracking and blogging about the Bobby on a Bike riders each day. Our biggest concern has been the battery life for the mobile phone and wondered how it would keep its charge. We had been looking at charging systems but decided I might be just as easy to have a number of batteries for one phone instead of trying to ensure a charge at a check point. 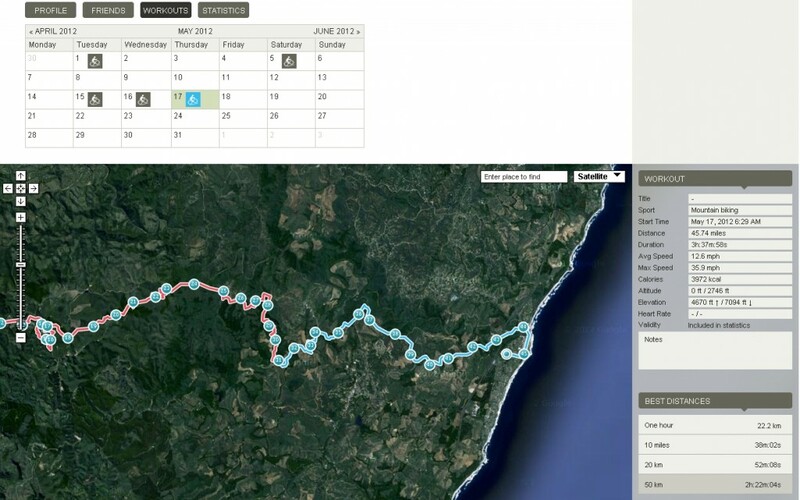 With this useful app and the route cards being issued each day, we hope to keep an up-to-date blog of how the Anglian riders are progressing on their adventure. We will be able to monitor their daily journey, report on how they are progressing and be part of the adventure, all from the comfort of our desks! If you want to keep up to date with the ride and how everyone is doing, log on each day for our updates.